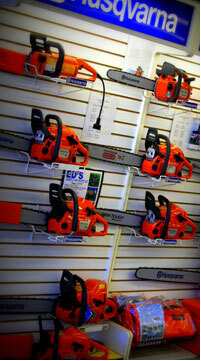 Since 1979, EDS MOWER & SAW SHOPPE has been owned and operated by the same friendly people. We are one of the largest power equipment dealers in the area. 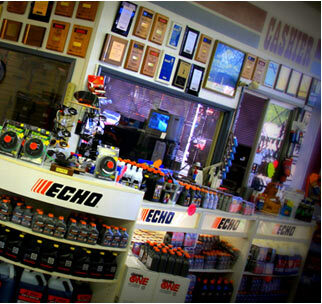 As a result, we offer a large selection of quality new and used equipment and at very competitive prices. We guarantee it. You can have confidence in your purchase backed by our "15 day love it or your money back policy". Our FACTORY trained staff will recommend the proper equipment based on your application and needs. All equipment is fully assembled and ready to use. When you purchase equipment at EDS, you will receive instruction on how to properly run your new equipment. We service all equipment purchased here with the top priority service to our valued customers. With over 90 years of combine knowledge we can provide the level of service our customers deserve. We also have a large, parts and service department where our knowledgeable employees will make sure you get the quality of service you deserve. Not only can our team answer your questions, they'll help find out what you need to provide many years of trouble free service from your purchases. Copyright © 2003-2016 Ed's Mower & Saw Shoppe. Legal Information. All Rights Reserved.